Pictured below are highlights from this year's pageant. We apologize for the quality of some photos, but hope you enjoy the memories. 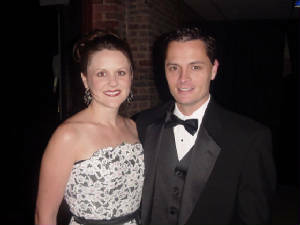 Pictured above are the pageant's emcees, Elizabeth and Lee Cruse. In the above photos contestants are participating in the pageant's opening number "I'm Every Woman" featuring Miss Kentucky 2004, Maria Maldonado. 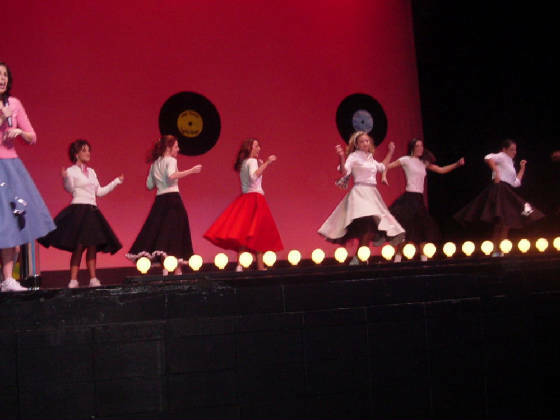 Pictured above are the 2005 contestants "Rockin' Around the Clock" in the swimsuit production number. Miss Metropolitan 2004, Kristen Daugherty, sings her farewell song "This Time Around". 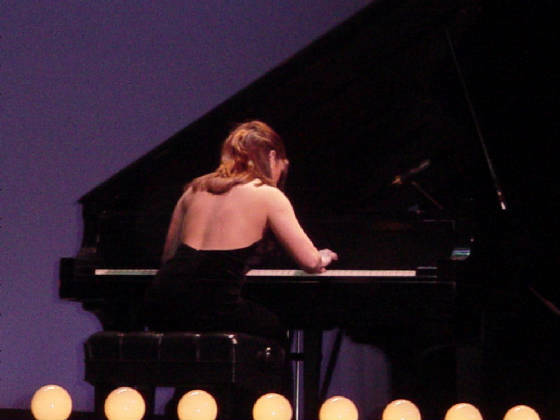 Miss Lexington 2004, Nicole Anderson, performing Ballad in G Minor. Visiting royalty. From left to right: Megan Beiswenger, Miss Green River Vally; Sarah Billiter, Miss Monticello; Lindsey Sheckles, Miss Pride of the South and Kerri Mitchell, Miss Jeffersontown. Contestants rise from the orchestra pit during the pageant finale "Girls Just Wanna Have Fun". 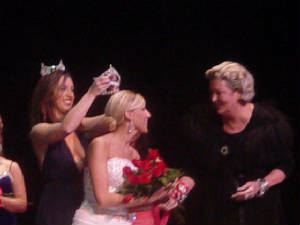 Miss Metropolitan 2005, Meghan Nadeau, being crowned by Miss Metropolitan 2004, Kristen Daugherty and congratulated by pageant co-chair, Melanie McCloud. 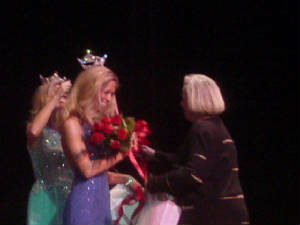 Miss Lexington 2005, Angela Tackett, is being crowned by Miss Lexington 2004, Nicole Anderson and congratulated by pageant co-chair, Karen Carter. We hope you will join us next year for the 46th annual Miss Lexington/Miss Metropolitan Pageant.